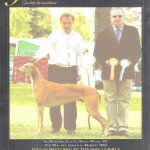 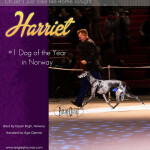 Ad in honour of Norway’s Top Dog 2013 Ch.Jet’s Just Take Me Home Tonight “Harriet”. 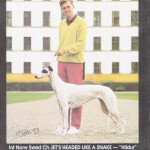 Ad for the Norwegian Greyhound Magazine, published in 2013. 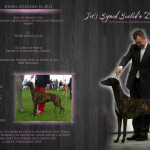 Ad for WW’10 Jet’s Signed Sealed’n Delivered, owned by Lise Olesen. 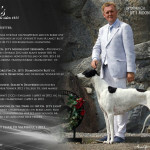 Published in the Norwegian Greyhound Magazine in 2013.